This recently renovated unit features an open kitchen floor plan, w/stainless appliances, granite counters & premium cabinetry. Washer/Dryer hookup (not in all Water Glades units). Hardwood floors throughout. Gorgeous Intracoastal sunsets & ocean views from large wrap balcony. Bright unit w/ impact sliders & floor to ceiling windows in every room. Split bedrooms. See virtual tour for 3D images of floor plan unfurnished and furnished. May be leased immediately, 3x a yr. $1.2 M renovation to this bldg's lobby. $1M+ renovation to community clubhouse. Next to the preserved & protected MacArthur Beach St Park. 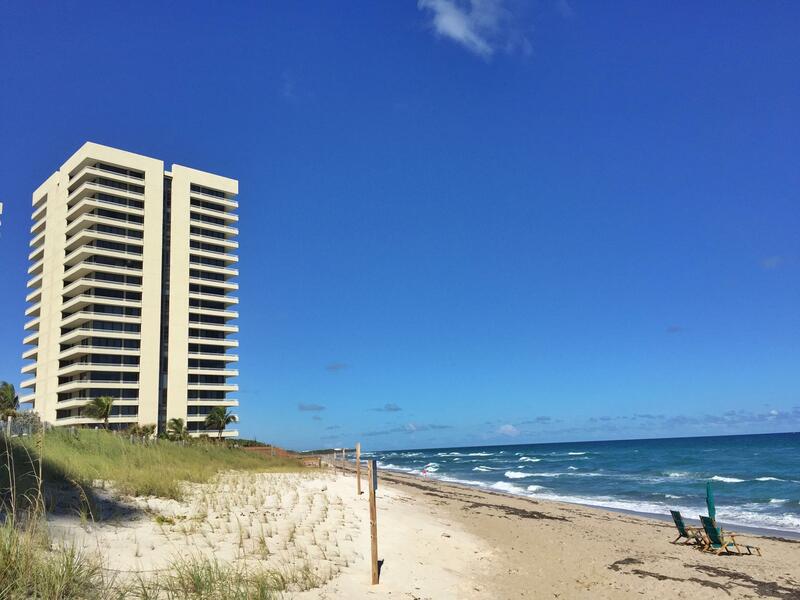 Over 1000 feet of private beach & resort environment w/ 2 heated pools, 2 tennis courts, putting green, grills. 24-hour staffed gate. 20 mins to world class shopping, entertainment, PBI.